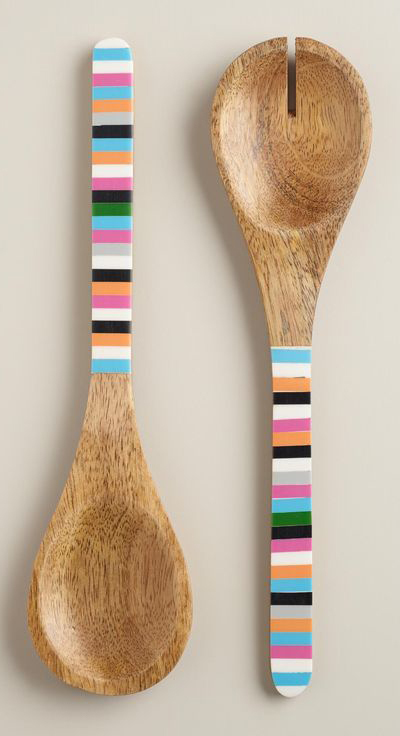 Handcrafted in India, these Striped Wood Salad Servers feature colorful striped handles for that added touch of style when mixing, tossing and entertaining. $12.99. Buy here.